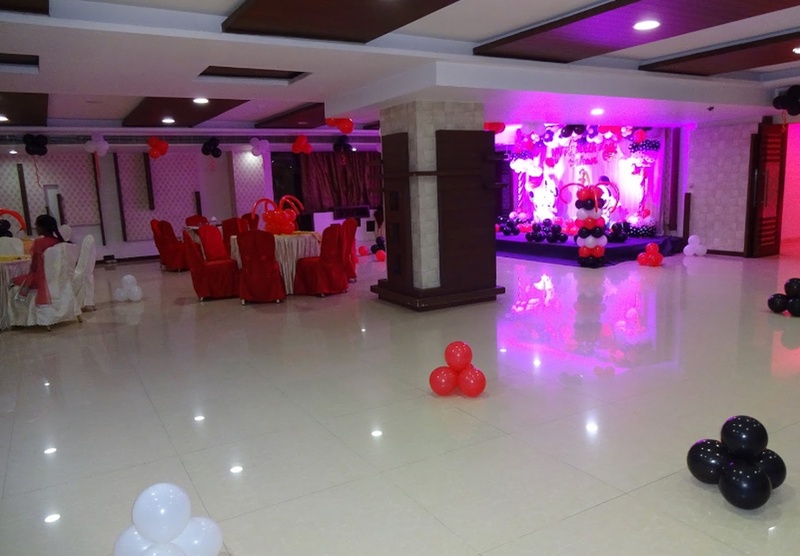 Surabhi Grand, Amberpet, Hyderabad has banquet halls that are designed to be the perfect setting for your personal highs, moments and auspicious occasions. It is located at a close distance from Vidya Nagar Railway station which makes it easily accessible for all. The venue serves flavoursome delicacies to choose from in both vegetarian and non-vegetarian food to their guests. It has multiple party areas which makes it easy to have various functions at the same venue. You can host most of your functions here ranging from get-togethers to marriages and birthday parties. The banquet can also help you with customizing the space to suit your individual needs. When it's time to celebrate, choose Surabhi Grand, Amberpet, Hyderabad to give you even more reason to celebrate. The Surabhi Grand located in Amberpet, Hyderabad has Cocktail Venues and Banquet Halls. Hall 3 can accommodate upto 300 guests in seating and 450 guests in floating. Hall 1 can accommodate upto 100 guests in seating and 150 guests in floating. Hall 2 can accommodate upto 200 guests in seating and 300 guests in floating. Vegetarian and Non Vegetarian food is served at this venue. Features of this wedding venues are : Food provided by the venue , Non-Veg allowed at the venue , Alcohol allowed at the venue , Halls are air Conditioned , Baarat allowed , Fire crackers allowed , Hawan allowed , Decor provided by the venue , Packages starts at Rs 400 per plate for vegetarian menu and at Rs 500 for non veg menu.